Eczema is known as a chronic dermatological condition that is characterized by skin rashes, dryness, crusting and flaking skin. The word eczema is derived from the Greek word ekzein meaning “to boil out”; the Greek word ek means “out,” while the Greek word zema means “boiling.” Research indicates that eczema is caused by chronic inflammation that affects the skin cells and causes scarring. Psoriasis is an auto-immune disorder characterized by increased inflammatory attack against the skin cells. Acne is associated with a chronic inflammatory attack against the sebaceous glands in the skin Natural lifestyle strategies allow the body to modulate the immune system to reduce inflammation and beat eczema, psoriasis and acne. Is it Eczema, Acne or is it Psoriasis? Eczema is a general diagnosis for any sort of superficial inflammatory process that primarily involves the epidermis (outer region of the skin). This is usually marked early by redness, itching, minute papules and vesicles, weeping, oozing and crusting and later by scaling and flaking. It is also commonly called atopic dermatitis or inflammation of the skin. Acne develops as a result of blockages in the follicles with sebum and keratin. Sebum is produced by sebaceous glands. Enlargement of sebaceous glands and an increase in sebum production clogs the follicles. This increases the ‘acne bacteria’ (Propionibacterium Acnes) in the pores and that in turn causes inflammation. In humans sebaceous glands occur over much of the body. They are usually associated with hair follicles and are particularly well developed in certain areas such as the scalp, face, upper back and chest. Hence you get more acne in these areas. 1) Chemical Irritants: This includes soaps, shampoos, cosmetics, dish washing and laundry detergents, disinfectants like chlorine and bleach. This could also mean certain jewelry, electric blankets, excessive hand washing and certain clothing materials. Some people also have bad reactions to certain pharmaceutical medications that can lead to eczema reactions. What irritates one individual is often different from what irritates someone else with this condition. 4) Mental & Emotional Stress: Some people with eczema have worse symptoms when they are stressed. For others their eczema symptoms cause them to feel stressed. 5) Food Sensitivities: Certain foods can trigger an immune reaction that can aggregate eczema. The most common food allergens and sensitivities include gluten, dairy products, corn, eggs, chocolate, nuts and soy products. 6) Hormone Levels: Hormones are chemicals produced by the body. They can cause a wide variety of effects. When the levels of certain hormones in the body increase or decrease some women can experience flare ups of their eczema. Some women notice changes in eczema based around their menstrual cycle. 7) Microbial Overgrowth: Certain microbial species can aggravate eczema when they overpopulate. This includes bacteria like E Coli and Staph, certain viruses and yeasts. The Allergy Triad is the triangle of allergy-related conditions that many allergy sufferers have. These include food or environmentally related allergies, asthma and eczema. If you have one of these you are at much greater risk of having all three. These conditions are related but they can also be found in isolation where an individual only deals with one of them. Research has shown that 50-70% of children with severe atopic dermatitis go on to have asthma. This is extremely high since the rate of asthma among the general population is only 9% of children and 7% of adults (1, 2). Scientists have found a compound called TSLP (thymic stromal lymphopoietin) as a possible link between eczema and asthma. When skin is damaged it secretes TSLP as an alarm signal to the rest of the body that the skin has been damaged. This is an important survival instinct as the skin is the first line of defense from microscopic invaders and a breakdown in the skin integrity could lead to a life-threatening infection. TSLP is no ordinary compound, it is an interleukin-7 cytokine that is capable of creating a powerful Th2 mediated immune response (3, 4). TSLP travel throughout the body via the bloodstream and has an affinity for the lungs where it can trigger the hypersensitive characteristics of asthma. Genetics play a role in why one individual will develop eczema when their body is stressed while another individual will not. Several genetic abnormalities have been noted in individuals with eczema and atopic dermatitis (AD). In particular, variants have been found in the FLG gene (which encodes the epidermal barrier protein filaggrin) (5). Filaggrin plays a critical role in the skin barrier integrity. It is a vital epidermal protein that is needed to develop corneocytes and for the generation of intracellular metabolites that modulate the hydration and pH of the skin (6). Although genetic polymorphisms predispose one to developing a certain health condition, epigenetics, or how the environment impacts our genes plays a larger role in the development of a chronic condition such as eczema (9, 10). Chronic inflammatory disorders such as excema, acne and psoriasis are characterized by a hyper responsive immune system. There are several key epigenetic factors that must be addressed to regulate and better coordinate the immune system. 2. Low Vitamin D Levels: Individuals with low vitamin D3 levels (below 40 ng/ml) are at significant risk for developing chronic inflammation and allergy-like conditions (10). 4. Mitochondrial Dysfunction: The mitochondria are the energy producing organelles in each cell of the body. They are extremely key in the bodies ability to handle oxidative stress. Dysfunction in the mitochondria leads to increased free radical and oxidative stress which creates immune alterations. 5. Low Glutathione Levels: Glutathione is the major anti-oxidant within every cell of the body. It is critical for white blood cell (WBC) function as the WBC’s encounter tremendous amounts of free radical and oxidative stress every second of the day. 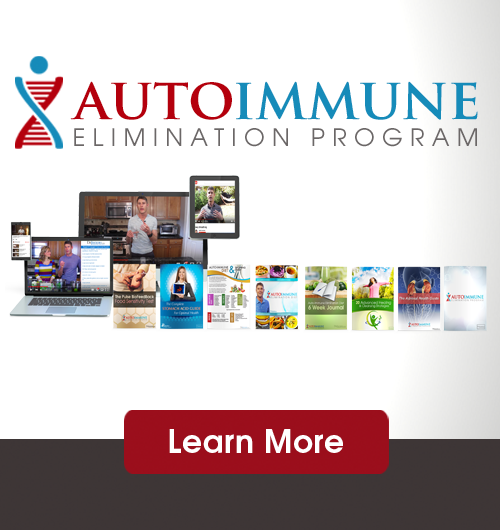 Low glutathione leads to chronic inflammation and often to auto-immunity (12). 6. Poor Omega 6:3 ratio: The average person has significantly more omega 6 fats than omega 3 fats. The increased omega 6 stimulate the release of pro-inflammatory mediating prostaglandin molecules. This is a key factor in the development of chronic inflammation and skin related disorders (13). 7. Upper Cervical Subluxation: The bottom of the skull (occiput) and the first bone (atlas) play a significant role in the coordination patterns of the brain and immune system. Dysfunction at this joint torques and compresses the top of the spinal cord and increases inflammatory activity in the body (14). 8. Environmental Toxins: Exposure to high levels of infectious microbes, environmental chemicals such as plasticizers, pesticides, herbicides, personal care products, heavy metals and biotoxins such as mold wear down the bodies glutathione levels, alter the gut microflora and increase inflammatory activity in the body (15, 16, 17). 9. High Stress and Poor Breathing Habits: High mental and emotional stress increases stress hormone production which induces inflammatory activity within the body. Short and shallow breathing habits can simulate chronic mental and emotional stressors on the physiological level (18). 10. Lack of Sleep: Poor sleep promotes immune dysfunction and increased inflammation. Good sleeping habits and optimal melatonin secretion reduce inflammation and promote improved tissue healing (19). 11. Methylation: Methylation is a key process that protects DNA, turns on and off genetic traits and helps to detoxify environmental chemicals. Many individuals have certain genetic polymorphisms that limit their ability to appropriately methylate. Methylation plays a very important role in T cell function and poor methylation status is associated with the development of auto-immunity (20). Research shows that there is a clear relationship between gut problems and skin disorders such as acne, eczema and rosacea. A 2008 study reported that small intestinal bacterial overgrowth (SIBO), was 10 times more prevalent in individuals suffering with acne and rosacea than in groups without these skin disorders. The study also showed that the eradication of the SIBO created an almost complete regression of symptoms (22). One study involving over 13,000 adolescents showed that those with acne were more likely to experience gastrointestinal symptoms such as constipation, halitosis, and gastric reflux. In particular, abdominal bloating was 37% more likely to be associated with acne and other skin related disorders such as eczema and rosacea (23). Research has shown that as many as 40% of those with acne have hypochlorhydria (24). When one has less than adequate stomach acid the body is unable to effectively disinfect the food it consumes. 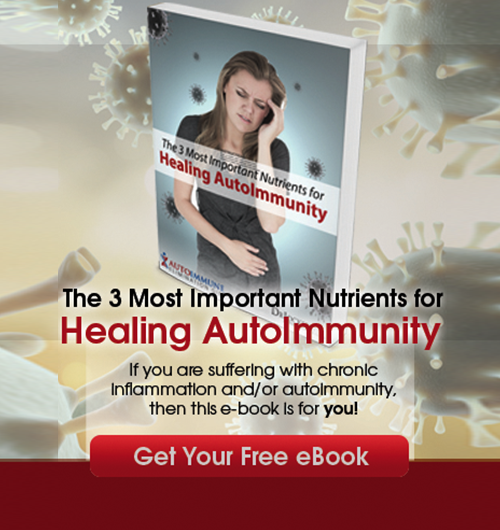 This increases the microbial load on the body which stresses the immune system. In addition, the lack of stomach acid sets the stage for migration of bacteria from the colon towards the distal portions of the small intestine, as well as an alteration of normal intestinal microflora (25). Another study with over 80 patients showed that those with acne had higher reactivity to lipopolysaccharide (LPS) endotoxins in the blood. LPS is the microbial waste from gram negative bacteria such as E Coli. The healthy control group did not react to the LPS, but 65% of the acne patients had a reaction (26). The main goal of the skin is to act as a defense system to protect the body from physical, chemical and microbial stressors. Inflammation along the gut lining along with a genetic polymorphism can break down the protective epidermal barrier of the skin. This process decreases the antimicrobial proteins produced in the skin and can lead to skin infections or hyperinflammatory processes (27). The gut flora has profound influence on the structural components of the skin including the fatty acid profiles and sebum production. Altered fatty acid and sebum production leads to increased inflammation and possible infection of the skin cells and increases the development of acne, rosacea and eczema. When the skin is irritated a neuropeptide called substance P is produced that triggers an inflammatory response. Individuals with dysbiosis or abnormal bacterial balance, have increased substance P production. Substance P increases sebum production along with mast cell degranulation and a hyperinflammatory response. Research has shown that oral consumption of probiotics reduced the vasodilation, edema, mast cell degranulation and TNF-alpha release induced by substance P, compared to the control group (28). Most people think that you have to apply something topically in order to effect the skin, but numerous articles discuss the importance of oral probiotic consumption and reduce skin related inflammation, reinforces skin barrier function, decreases skin sensitivity and modulates the skin immune system leading to the preservation of skin homeostasis (29). Gut dysbiosis and intestinal permeability create a heightened immune response to specific dietary agents. Research has shown that individuals struggling with eczema, acne, rosacea, psoriasis and other inflammatory disorders of the skin are often aggravated by certain foods (30, 31). The most common food sensitivities include wheat and gluten, dairy products, soy, corn, eggs, nuts, chocolate and sugar. Additionally, genetically modified foods are harmful to the gut lining and can increase skin related inflammation. There are specific enzymes found throughout the body called transglutaminases that function to bind proteins together. They are key to the digestion of wheat and gluten. When someone has a food sensitivity to gluten they can often develop antibody’s to transglutaminase enzymes. Transglutaminase-2 (TG-2) is found in the intestinal lining and anti-bodies to TG-2 are a marker for celiac disease. Transglutaminase-3 (TG-3) are found in the skin and anti-bodies can lead to chronic acne, eczema and dermatitis. Transglutaminase-6 (TG-6) is found throughout the central nervous system and antibody formation leads to neurological disorders. Transglutaminase enzymes are also used by the food industry to tenderize meat to hold processed meats together in specific shapes. Individuals with transglutaminase reactivity would have significant reactions when they consume these processed meats as well. Vitamin D has been shown to reduce inflammation and lower the risk of developing eczema, acne, seborrheic dermatitis and psoriasis. A 2011 study looked at children with mild, moderate and severe eczema and a direct relationship this vitamin D status and severity of eczema. The children with the most severe eczema had the lowest levels of 25 (OH) vitamin D3. Vitamin D has been shown to be active in the nuclei of the epidermis tissue where it enhances keratinocyte differentation (32). It is able to modulate skin cell growth in such a way as to favor keratinocyte proliferation in normal tissue and inhibit the proliferation in psoriatic tissue (which is marked by excessive proliferation) (33). Vitamin D also reduces inflammatory cytokine production in the dermal and epidermal tissue and strengthens the permeablity barrier of the epidermis. This reduces the occurence of infection in the skin and makes it resist stress more effectively (34, 35). Many individuals have found success using phototherapy to reduce symptoms of eczema and psoriasis. Phototherapy is simply narrowband ultraviolet B light that is emitted from a special machine at 311-312 nm. This maximized UVB expression and reduces the more harmful UVA frequencies that are more damaging to the skin. Glutathione is the bodies master anti-oxidant it is one of the major modulators of the immune system. A 1982 study looked at 61 healthy subjects and 506 patients with various skin disorders. Depressed glutathione levels were observed in patients with psoriasis, eczema, atopic dermatitis, vasculitis, mycosis fungoides and dermatitis herpetiformis (37). Some studies have demonstrated that individuals with eczema, psoriasis, vitilago and other skin disorders have genetic polymorphisms in their glutathione production pathways (38, 39). This would indicate higher glutathione needs through dietary precursors and nutritional supplementation. Studies have demonstrated improvement in these conditions with the addition of glutathione precursors via diet and supplementation (40). The levels of omega 6:omega 3 are critical for the development and regulation of epidermal barrier integrity and sebum formation. Individuals with higher omega 6 levels had more inflammatory cytokines in the skin tissue, a weakened epidermal barrier and increased sebum production (41, 42). One type of omega 6 fat, gamma linoleic acid, happens to be very beneficial for individuals with eczema and other skin disorders. Additionally, supplementing with long-chain omega 3 fatty acids EPA and DHA help to reduce inflammatory cytokines in the skin and strengthen epidermal barrier function (43, 44). Zinc and selenium deficiencies are rarely known but rather large and widespread issues that promote inflammation and increased risk of inflammatory disorders. Zinc and selenium deficient diets are associated with increased inflammatory cytokines in the skin and reduce epidermal barrier function which predisposes one to developing eczema and other skin disorders (45, 46). Zinc deficiency is a common issue with infants suffering from eczema (47). Because breast milk is naturally low in zinc, it is important for mothers to supplement and consume a high zinc diet during pregnancy to reduce risk of eczema in infancy. When treating eczema with zinc and selenium, it is best to take chelated supplements such as zinc glycinate and selenomethionine. In chelated forms the zinc and selenium are bound to an amino acid that help transport it through the gastrointestinal tract. Free selenium and zinc are potentially toxic to humans. Histamines are important neurotransmitter and immune messenger molecules. They are involved in processes involving hydrochloric acid secretion for digestion, triaging water reserves to key areas of the body and the inflammatory response. Histamine only becomes a problem when we have metabolic disturbances that do not allow us to effectively metabolize histamine properly. A new study recently found that mast cells (which release histamine molecules) are a key culprit in causing eczema (also known as atopic dermatitis). The researchers also revealed that a protein known as STAT5, plays an important role in the equation by triggering major mast cell increases in some. Mast cells release histamine and when their activity is increased can cause a major histamine reaction leading to inflammation in various tissues of the body (48). Mast cells are present in most tissues characteristically surrounding blood vessels and nerves, and are especially prominent near the boundaries between the outside world and the internal world. This includes the skin and the mucosa of the lungs, intestines, mouth and nose. One study found that an individual showed significant improvement in atopic dermatitis symptoms using a balanced low-histamine dietary regimen (49). I use a nutrient dense low-histamine diet for a period of time to help my clients with eczema, psoriasis, hives and other skin disorders. This is especially important if I see that they have seasonal allergies, headaches and other histamine related symptoms. Here are the best action steps to get started with on your journey to prevent and/or beat eczema, psoriasis, acne and other skin disorders. You should always consult with your physician before stopping or changing medications or taking on new health strategies. Additionally, you should be working with a functional health practitioner to help guide you through these strategies. This is not an exhaustive list and there are other natural therapeutic strategies that I and functional health practitioners will utilize to help individuals with eczema, psoriasis, acne and other skin disorders. You can also do a biofeedback test to determine what foods are causing stress in your system and an elimination diet to test how you are responding to eliminating certain foods for periods of time. Use high quality collagen protein and bone broths to help heal the gut lining and improve the strength and integrity of the skin barrier. 3) Improve Your Sleep: Sleeping a high quality 8-9 hours each night is key to healing and reducing inflammation. Follow the steps in this article to improve your sleep. 4) Consume Zinc and Selenium rich Foods: This includes healthy organic, pasture-raised meat and wild-caught fish. It includes pumpkin seeds, brazil nuts and green vegetables. 5) Get High Quality Vitamin A and Vitamin E: Fat soluble vitamin A & E are super key for healthy skin and reduced inflammation in the epidermis. In particular, the fat soluble retinol version of vitamin A is significantly better than the water soluble beta carotene found in carrots. The best foods for retinol and vitamin E include grass-fed butter or ghee, avocados, cod liver oil and organ meats from pasture-raised animals. Be sure to consume ample amounts of these super foods to improve your skin health. 6) Focus on Deep Breathing: Improving your posture, seeing a high quality chiropractor and optimizing your breathing patterns is highly recommended to reduce stress and inflammation. Follow these tips here to improve your breathing patterns. 7) Use Anti-Oxidant Rich Herbs: Add turmeric, ginger, oregano, garlic, basil, thyme and rosemary to as many dishes as possible and drink organic herbal teas on a regular basis. 8) Ground Your Body: In our society we are surrounded by toxic electromagnetic frequency’s (EMF’s). These EMF’s increase stress within our body and alter neurotransmitter function. By going outside daily and walking barefoot on grass, dirt or sand you absorb natural EMF’s from the ground that balance your electrical rhythms. Follow the steps in this article here. 9) Supplement With Omega 3’s: Omega 3 fatty acids and in particular the long chain variety EPA and DHA and the omega 6 fat GLA are critical for improving epidermal function and reducing skin related inflammation. Consume grass-fed meat, grass-fed butter, wild-caught fish and spirulina to get it in your diet. 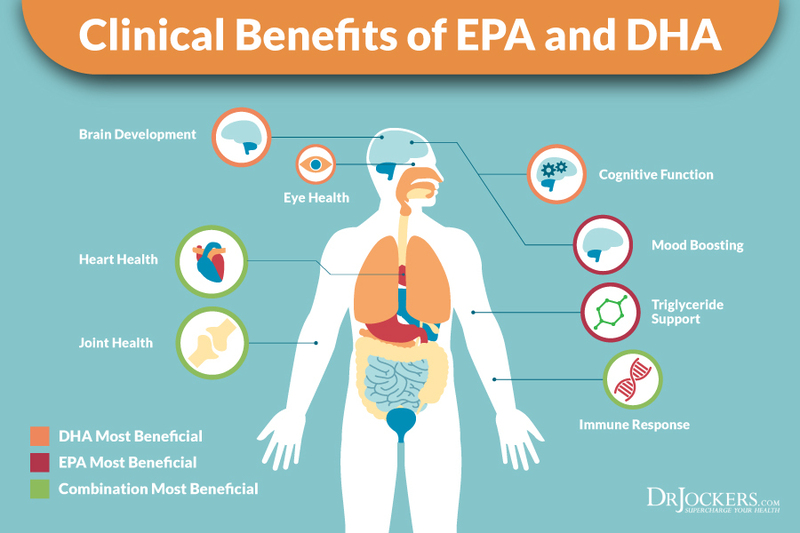 It is also advisable to supplement with 1-2 grams daily of EPA/DHA along with 150-200 mg of GLA. Clinically, I use ProEFA to boost up omega 3’s. 10) Juice Your Veggies: Juicing is one of the best ways to get high quality anti-oxidants and powerful phytonutrients into your system. Here is my article on Best Juicing strategies. 11) Intermittent Fasting: Going 16 hours between dinner and breakfast is one of the best ways to reduce oxidative stress and inflammation and repair the gut lining. Consume your meals in an 8 hour window such as 11am – 7pm. Read this article for more info on fasting. 12) Optimize Your Vitamin D: Be sure to increase your vitamin D through good amounts of regular sun exposure and/or taking a high quality vitamin D3/K2 supplement. Consider using phototherapy through safe tanning bed exposure if you are unable to get healthy sun exposure. 13) Practice Oil Pulling: Oil pulling helps to reduce the microbial load in your mouth. This takes stress off of the immune system and reduces inflammation levels throughout the body. Read more about oil pulling here and practice this 2x daily. 15) Use Essential Oils: The anti-oxidant content and aromatherapy benefits of essential oils help to improve oxygenation and reduce the harmful effects of oxidative stress throughout the body. Some of my favorites include lavendar, peppermint, chamomile and sweet orange among others. Put a drop on your hands and mix together with a carrier oil like coconut or olive oil and apply to skin. These nourish the skin and help to optimize the skin’s microbiome. 16) Improve Your Gut Motility: Improving bowel movement frequency and consistency is a key detoxification concept. Consuming an anti-inflammatory diet with good fiber sources such as chia seed and flax seed, using bone broths, fermented foods, collagen proteins and probiotics will improve bowel motility. 17) Apple Cider Vinegar and Coconut Oil: Many individuals with eczema, acne, rosacea and psoriasis often see improvement by applying diluted apple cider vinegar (ACV), approximately 1 tbsp in 2 oz of water and coconut oil to their skin. The ACV and coconut help to reduce inflammation and nourish a healthy skin microbiome. Apply ACV and let dry (15 minutes or so) and coconut oil and let dry. Try to do this every 3-4 hours if possible. Even if not, doing it once or twice daily will be of benefit. 18) Heal Leaky Gut Syndrome: Individuals with eczema, psoriasis and acne often have SIBO and serious cases of intestinal permeability and gut dysbiosis. Using an advanced gut healing protocol is often necessary to help these individuals get well. 1. Palfreeman AC, McNamee KE, McCann FE. New developments in the management of psoriasis and psoriatic arthritis: a focus on apremilast. Drug Design, Development and Therapy. 2013;7:201-210. 6. Levin J, Friedlander SF, Del Rosso JQ. Atopic Dermatitis and the Stratum Corneum: Part 1: The Role of Filaggrin in the Stratum Corneum Barrier and Atopic Skin. The Journal of Clinical and Aesthetic Dermatology. 2013;6(10):16-22. 17. Ercolini AM, Miller SD. The role of infections in autoimmune disease. Clinical and Experimental Immunology. 2009;155(1):1-15. 25. Dukowicz AC, Lacy BE, Levine GM. Small Intestinal Bacterial Overgrowth: A Comprehensive Review. Gastroenterology & Hepatology. 2007;3(2):112-122. 27. Slominski A. A nervous breakdown in the skin: stress and the epidermal barrier. The Journal of Clinical Investigation. 2007;117(11):3166-3169. 32. Searing DA, Leung DY. Vitamin D in Atopic Dermatitis, Asthma and Allergic Diseases. Immunology and allergy clinics of North America. 2010;30(3):397-409. 33. Searing DA, Leung DY. Vitamin D in Atopic Dermatitis, Asthma and Allergic Diseases. Immunology and allergy clinics of North America. 2010;30(3):397-409. 35. Searing DA, Leung DY. Vitamin D in Atopic Dermatitis, Asthma and Allergic Diseases. Immunology and allergy clinics of North America. 2010;30(3):397-409. 40. Prussick R, Prussick L, Gutman J. Psoriasis Improvement in Patients Using Glutathione-enhancing, Nondenatured Whey Protein Isolate: A Pilot Study. The Journal of Clinical and Aesthetic Dermatology. 2013;6(10):23-26. 48. Ando T, Xiao W, Gao P, et al. Critical Role for Mast Cell Stat5 Activity in Skin Inflammation. Cell reports. 2014;6(2):366-376. 49. Chung BY, Cho SI, Ahn IS, et al. Treatment of Atopic Dermatitis with a Low-histamine Diet. Annals of Dermatology. 2011;23(Suppl 1):S91-S95.